Despite their relative youth, ARMORS, Orange County’s hottest synthpop act, have certainly made a name for themselves. 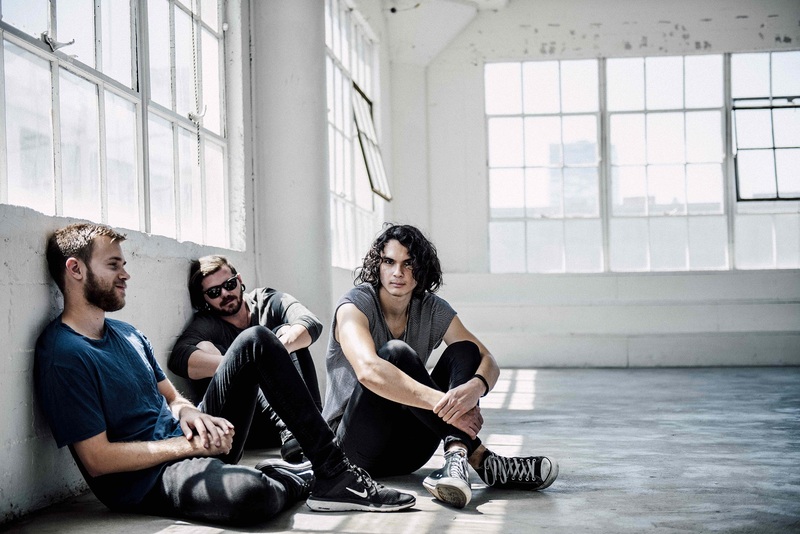 The trio (made up of vocalist/drummer Olen Kittelsen, guitarist/bass guitarist Kody Buxton, and keyboardist Sam Beresford) racked up praise from (the world-famous) KROQ following last year’s four-song Collisions EP. And though two out of three of the band members have only recently turned 21, ARMORS have played alongside the likes of Meg Myers, Night Riots, and HUNNY over the past two years. The maturity that has allowed ARMORS to gain a near-nationwide following despite their young age — reflected in their newest single, “Overdose.” Released 11/11/2016, the song finds ARMORS doing what some of the world’s most popular bands cannot – tackling deeper themes while remaining loyal to their sound. From the first beat of the drums, it’s hinted at that the song’s tone is going to be slightly different. Produced by Sir Sly‘s Jason Suwito, “Overdose” is still strictly synthpop, yet frustration pervades the song. The first words out of Kittelsen’s mouth are “I am so damn done living for a modern wage” erasing all thoughts that “Overdose” is going to be all happy-happy joy-joy. As the song progresses, Kittelsen’s anger and hopelessness build, leading him to darkly self-reflect (“Know that I’m not right, living like an animal/ Starving every bit of life from my flesh and bones”). The pent-up self-criticism and anger eventually find their full release in the chorus. Kittelsen’s brilliant falsetto, backed by Buxton and Beresford’s upbeat instrumentals, soars–both a release of fury and frustration and a stark meditation on the human condition. The second verse finds Kittelsen musing on the nature of life and love. Despite his youth, he sees the lives most people live for what they really are–an attempt to live fast and get a brief hold of life’s ephemeral pleasures. Kittelsen doesn’t agree, simulataneously lamenting humanity’s avarice and desperately wanting to make something real “last.” Kittelsen is caught in the middle, which just encourages his frustration all the more. And all the while, the song’s message remains not a complaint but a meditation. Kittelsen is frustrated and “done,” but what he sees does not make him want to self-destruct–it’s just him observing what the world is like. ARMORS’ decision to tackle the darker side of life on their own terms, through honest lyrics and their own signature style, marks a new step in the band’s direction. In “Overdose,” the trio have proven their capacity to balance weightier subject matter while remaining true to their sound.